If you are in 3 of 4 leagues where Josh Reynolds isn’t already owned you need to drop your cap space on him immediately. 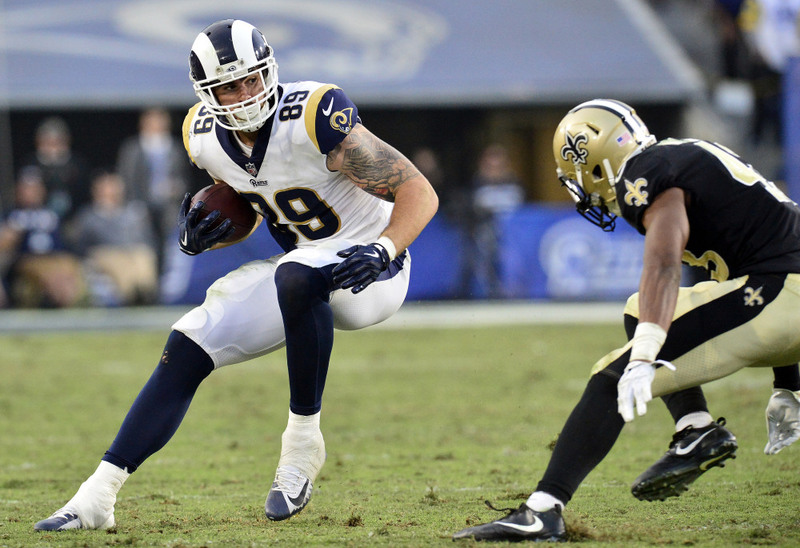 With Cooper Kupp out for the rest of the season, Reynolds will step back into the WR3 role that he had when Kupp missed time earlier this season. The Rams run 11 personnel (3 WR, 1 TE, 1 RB) almost the entire game (95%) which means that Reynolds will be on the field a lot for the remainder of the season. He may not be as consistent a fantasy producer as Kupp but his ceiling is worth risking it. It was amazing to see the Buccaneers put up over 500 yards of offense and somehow manage only 3 points. Within those 500 yards though was 100 receiving yards from running back Jacquizz Rodgers. This could be a more common feature, although not likely 100 yards a week, for the Bucs moving forward. Ryan Fitzpatrick will always be a gunslinger but having a check down option never hurts an offense that is likely to be in “catch-up” mode for most of the game. 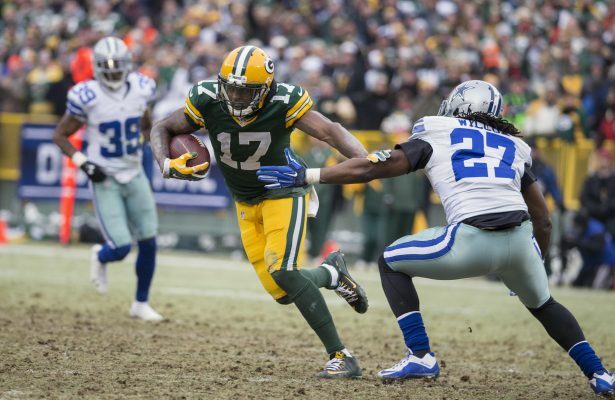 This may have been a single game standout for Rodgers but with playoffs around the corner, it’s time to start stashing as many bench options as possible if you are in the hunt. Brandon LaFell was brought in a couple of weeks ago to fill the hole at receiver when the Raiders traded away Amari Cooper. A couple weeks later and he now appears to be their primary receiver. What’s more is that both Jordy Nelson and Martavis Bryant are injured leaving minimal options for Derek Carr to throw the ball to for the next 6 weeks. The Raiders offense is not going to score many points each week but in PPR leagues having a team’s number one target is always a good thing to stash on the bench for emergencies. 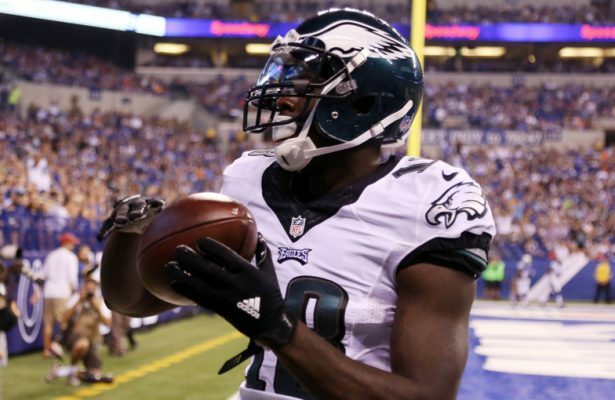 LaFell could remain a deep WR play for struggling teams that can’t afford/acquire Josh Reynolds. There’s a similar analysis here for Tyler Higbee as with Josh Reynolds but on a lower scale. Targets will become available with Kupp out of the lineup, however, only one tight end will be on the field at any given time. Higbee plays about 77% of the snaps so he will have the opportunity to carve a new role out for himself. You should temper your expectations, however, as he has only reached four (4) targets twice this season. 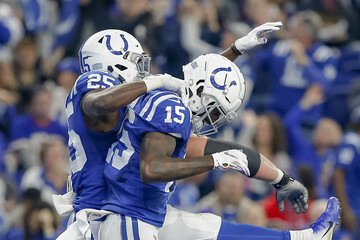 A team polar opposite to LA Rams in terms of tight end usage, the Colts love to get their big guys involved in the passing game and had their third game this season with multiple tight ends scoring a touchdown. The story underneath of that, however, is that of newly acquired receiver Dontrelle Inman stepping in as the WR2 behind T.Y. 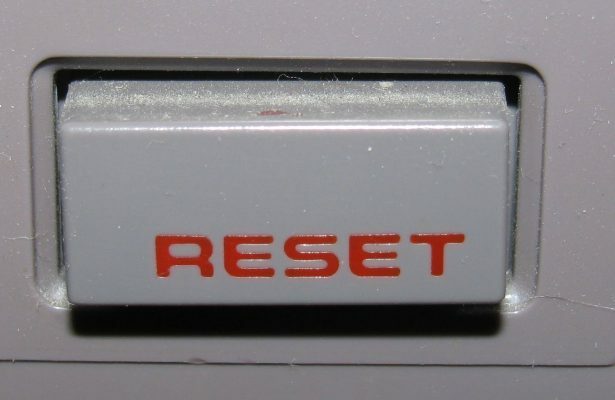 Hilton the past two weeks. 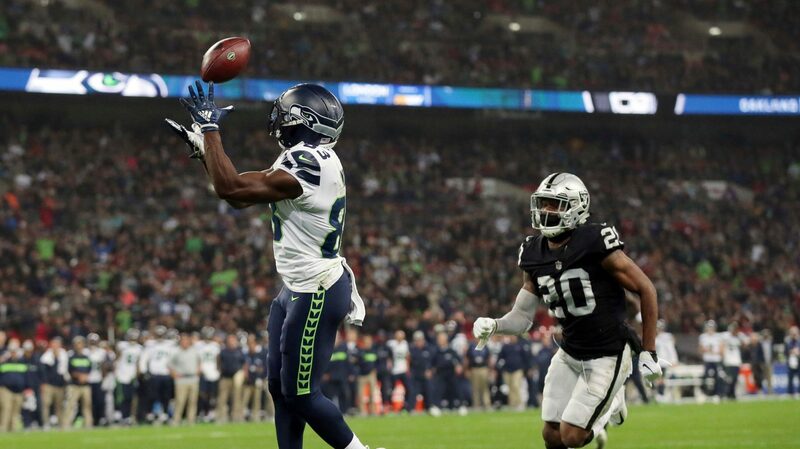 Maybe it is because Ryan Grant isn’t fully healthy yet but Inman had four catches to Grant’s one in week 10. 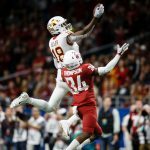 Chester Rogers has also become non-existent since bringing in Inman and Grant returning. 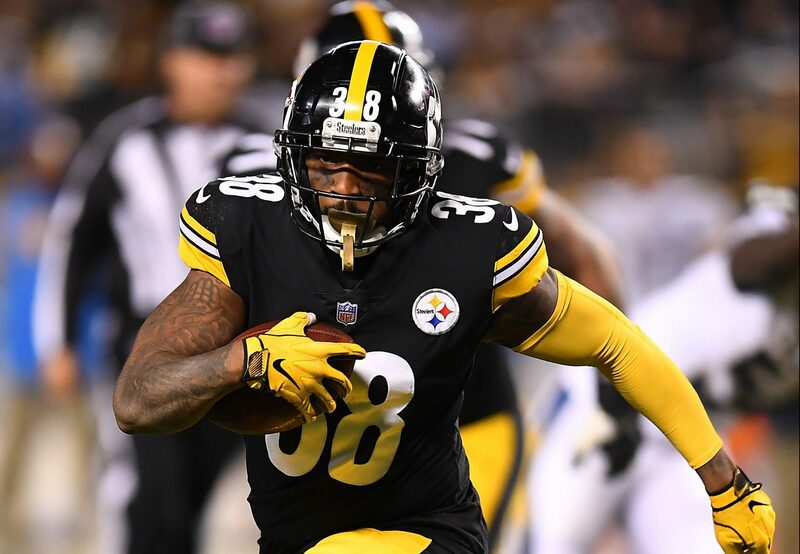 Like Brandon LaFell, Inman could have great appeal for teams that need some receiver depth but won’t be able to acquire Josh Reynolds this week. Plus no one is talking about him so he should be cheap to acquire. 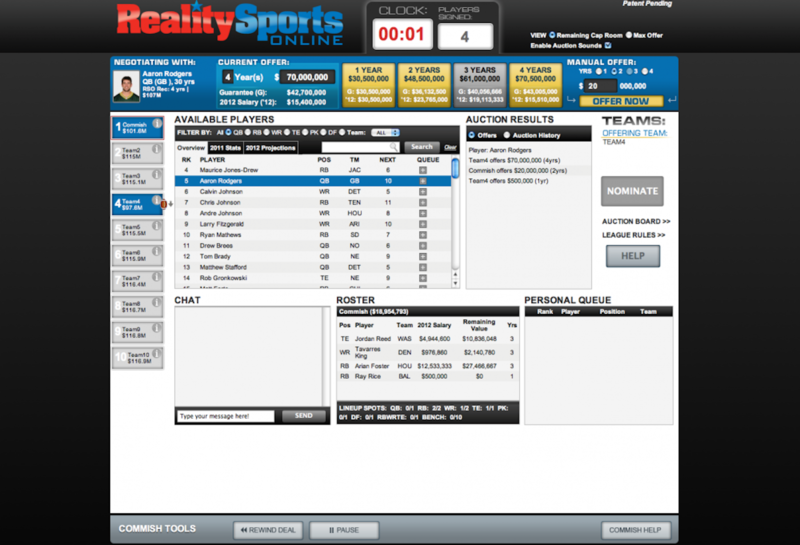 Each week we will recommend a group of players that are owned in less than 50% of RSO league that should be rostered. Depending on roster and league sizes not all of these players may be available. 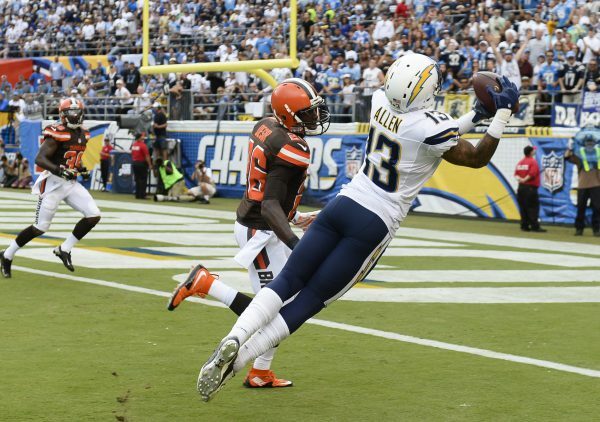 Terrelle Pryor scored a touchdown for a second consecutive week and had his most targets (6) since week 2 against the Dolphins. 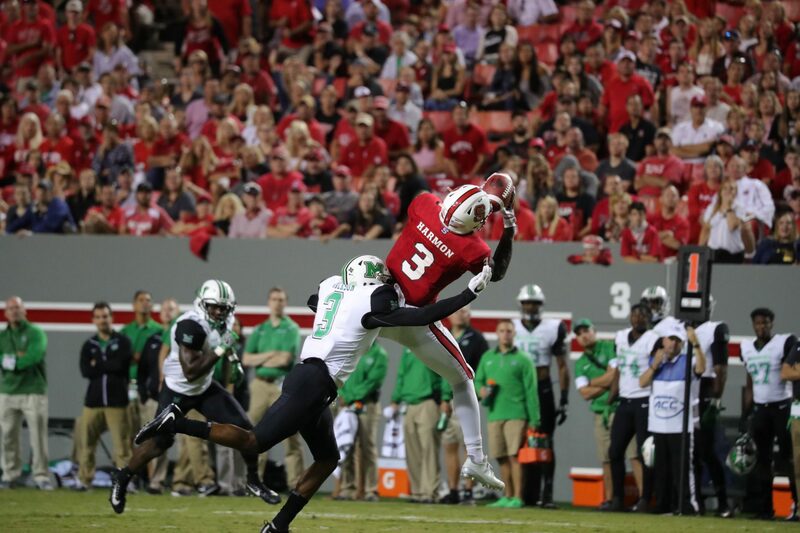 More importantly, it appears Quincy Enunwa will be missing several weeks with an ankle injury. This gives Pryor the opportunity to step into the #2 role opposite Robby Anderson. The Jets’ offense has been a surprisingly useful bunch for fantasy players and if they can keep up their scoring efficiency, Pryor may become a strong mid-season add for what will be a heavy receiver bye week coming up. 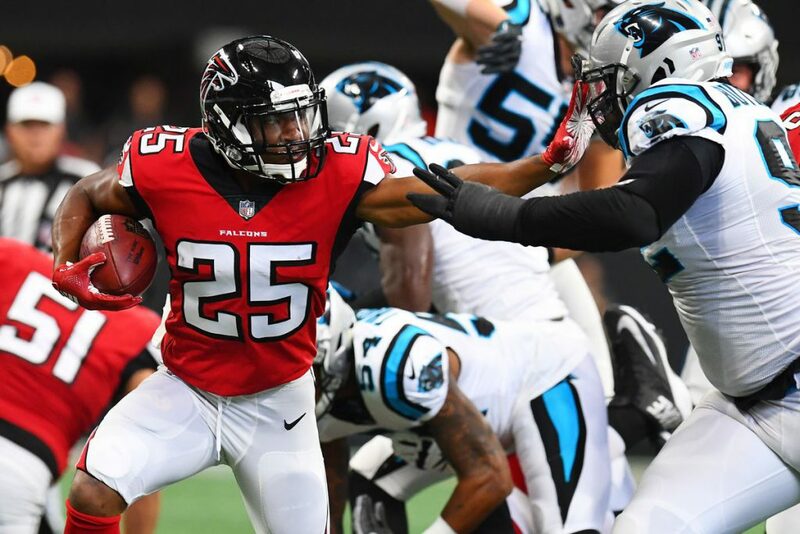 With Devonta Freeman going on IR it is time to fully embrace Ito Smith as more of a stable fantasy option for the second half of the season. Smith has a touchdown each of the last three weeks and will likely continue to get goal line work. Tevin Coleman is still the more appealing option in Atlanta’s backfield but now that Falcons are committing to putting Freeman on the shelf they may be more inclined to get Ito Smith involved in their weekly game plan. 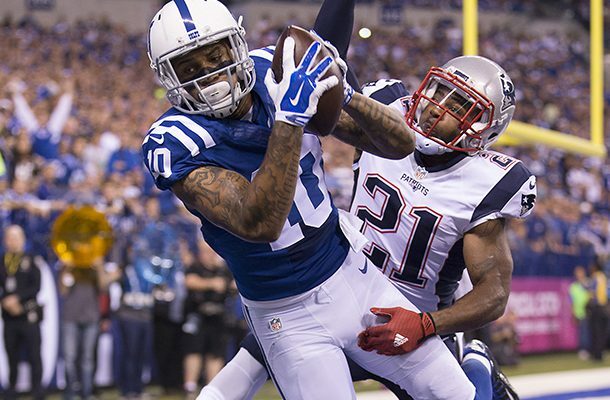 For someone who is free in nearly half of all leagues, Smith is an easy addition to any team. Eventually, if I recommend every Dallas player I should get one right, right? 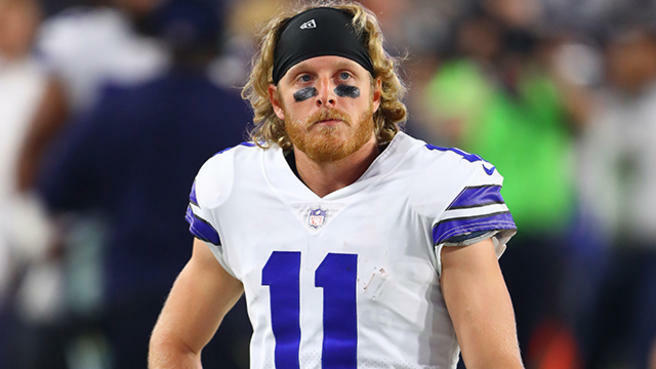 The anemic Cowboys somehow hung 40 points on one of the best defenses in football and it was Cole Beasley who racked up huge fantasy points scoring two touchdowns and going over 100 yards. Beasley saw 11 targets after having only 16 in the previous four weeks. Run the ball with Zeke and work over the middle with the shifty Beasley seems like a simple enough game plan. Maybe this will kick start Scott Linehan to use his slot receiver more often. Couldn’t hurt right? It will be tough for Cooper Kupp owners to replace his week-to-week value after it was announced that he is going to miss several weeks with a knee injury. In his absence though second-year receiver Josh Reynolds should be the main beneficiary. There was a lot of hype during the draft last season that saw Reynolds as a mid-3rd round target. However, being buried on the depth chart hasn’t left much room for him to showcase his talents just yet. 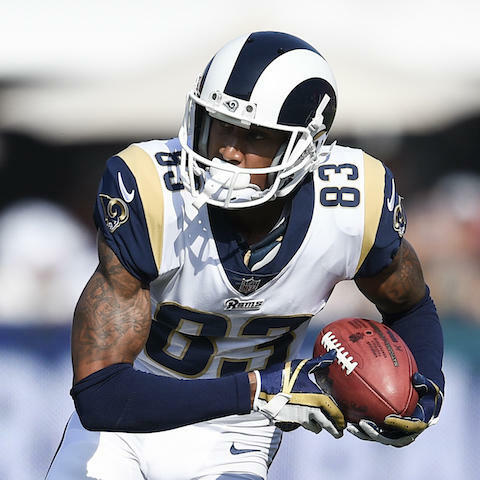 With how high scoring the Rams’ offense has been this season Reynolds moving up to the WR3 spot this should give an indication of whether or not he can be a fantasy viable asset. A lot of fantasy points to go around in week 6 for the Bengals which means that C.J. Uzomah is looking like a rosterable TE. He was Cincinnati’s only targeted tight end with 7 targets last week which was also good for third on the team behind A.J. Green and Tyler Boyd. 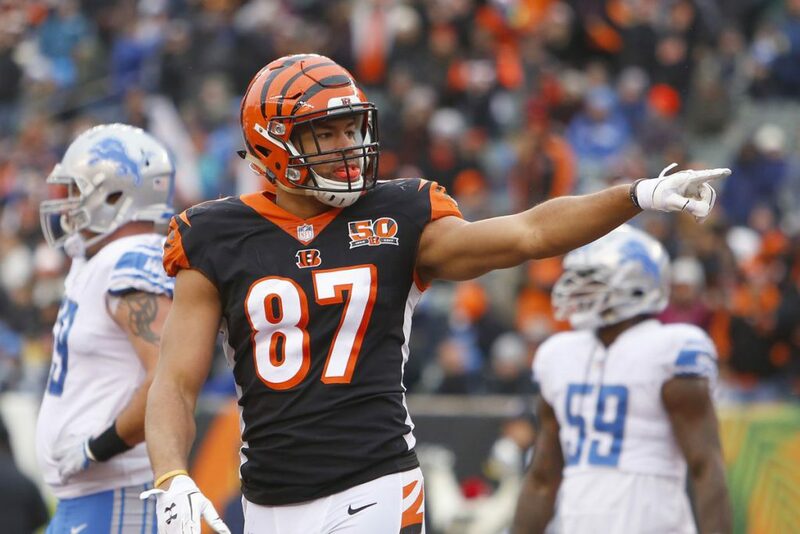 Andy Dalton has always liked having Tyler Eifert as a safety option and it seems that Uzomah will be the primary receiving tight end moving forward. He will be a matchup-based play each week but he is definitely worth an add if you are rotating your starting TE week-to-week. 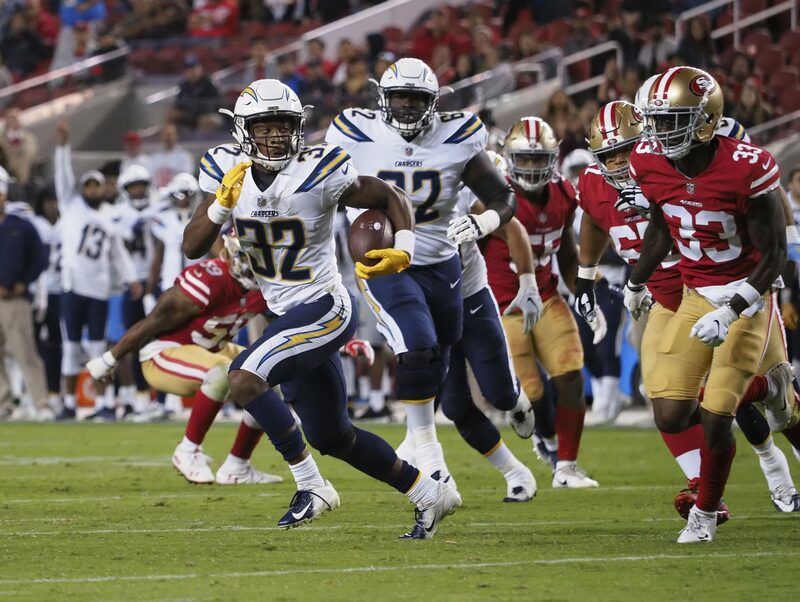 The trade deadline was an eventful week this season but there was one trade, the Chargers trading Dontrelle Inman to the Bears for a conditional seventh-round pick, which went pretty much unnoticed in the fantasy community. He was inactive for his first game with the Bears but since has become their most targeted receiver with 23 targets in 3 games. 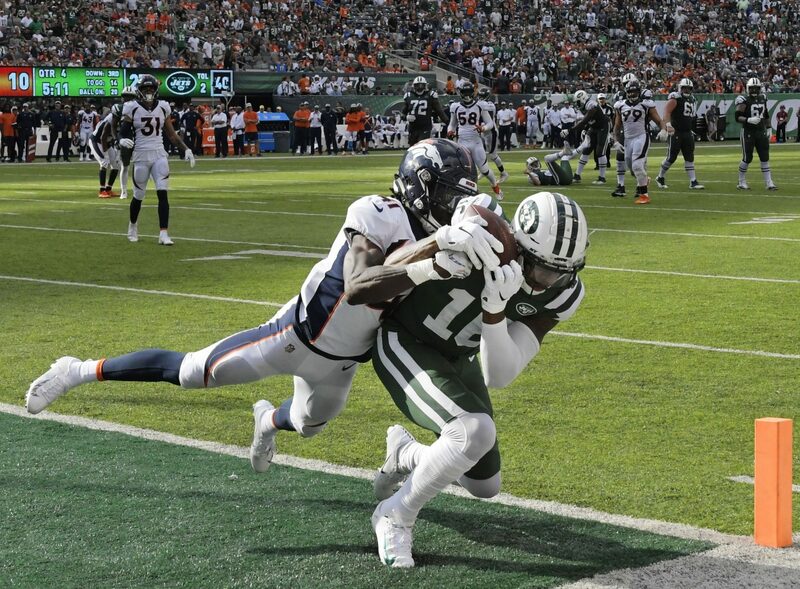 Inman is the best outside receiver the Bears have at this point so it’s likely that his target volume continues. With remaining games against the 49ers, Bengals, Lions, and Browns there should be plenty of opportunities to get in the end zone as well. 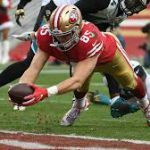 Gabbert did more than enough to stick it to his old team in week 12 and secure a victory against a tough Jacksonville defense. 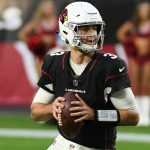 He has also shown enough to Bruce Arians and the coaching staff to be named the starter for the near future. In 2QB/Superflex leagues he’s a must own and in regular leagues, he’s a tentative add for any team entering the playoffs without a clear QB1 on their squad. After a tough matchup next week against the Rams, Gabbert has great playoff matchups against Tennessee, Washington, and the Giants. All are allowing over 17 points per week to QBs. If your starter has any questionable matchups in the playoffs it wouldn’t hurt to consider Gabbert if he plays as well as he did against Jacksonville. Doug Martin left week 12 against the Falcons with a concussion forcing the Bucs to return to a committee for backfield touches. 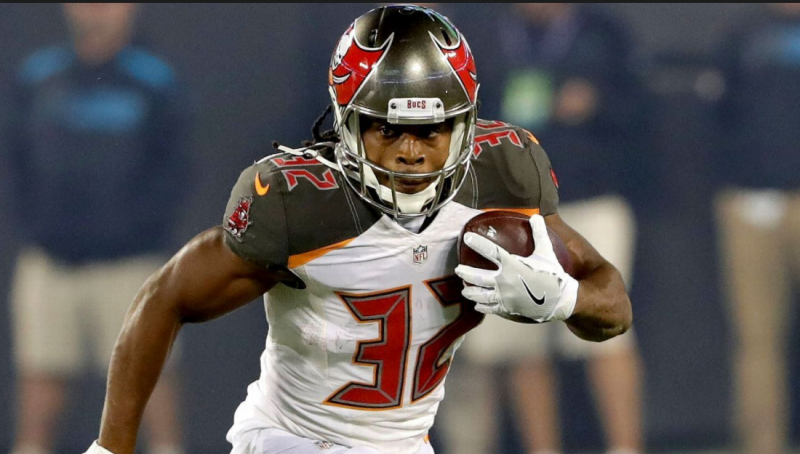 Jacquizz Rodgers led the team with 8 carries but it was Peyton Barber who scored two short touchdowns on his 5 carries. In week 10 I wrote about how Barber saw an increased amount of carries after the Bucs took Martin out in a blowout and it suggested that Barber might have a bigger role if Martin was to miss time in the future. While the team was in catch-up mode for most of the afternoon the Bucs showed that Barber would be more frequently used in traditional run formations especially around the goal line. If Martin’s concussion symptoms forced him to miss any additional time Barber could be a late season add that could pay off for a game or two. Earlier in the week, a report surfaced that suggested Josh Reynolds would be featured significantly more with Robert Woods declared out for their game against the Saints. “Coach speak” like this comes out weekly from every team so it wasn’t much to get up and check the wire to see if he was available. But after scoring his first career touchdown and accumulating almost 14 PPR points he should be on the radars. 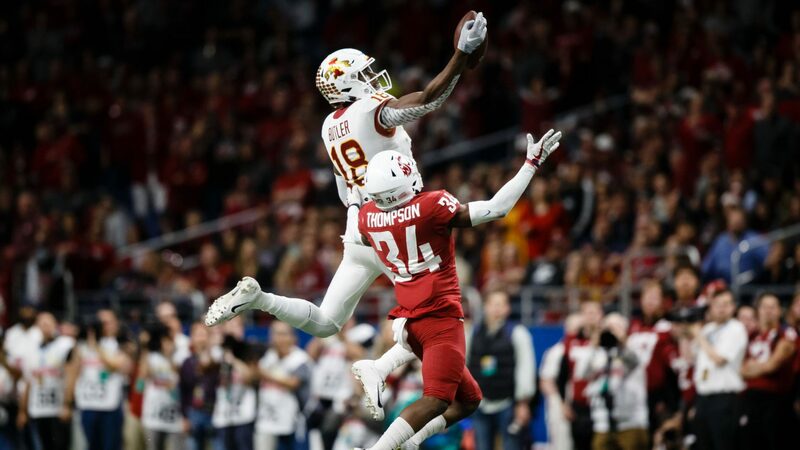 A rookie out of Texas A&M, Reynolds was Matt Waldman’s WR2 in his pre-draft RSP and described him as, “Tall and wiry. He’s built a lot like A.J. Green, and his style of play has similarities.” That’s high praise for a player that fell in the draft and subsequently lost a lot of stock when it came to rookie drafts this offseason. 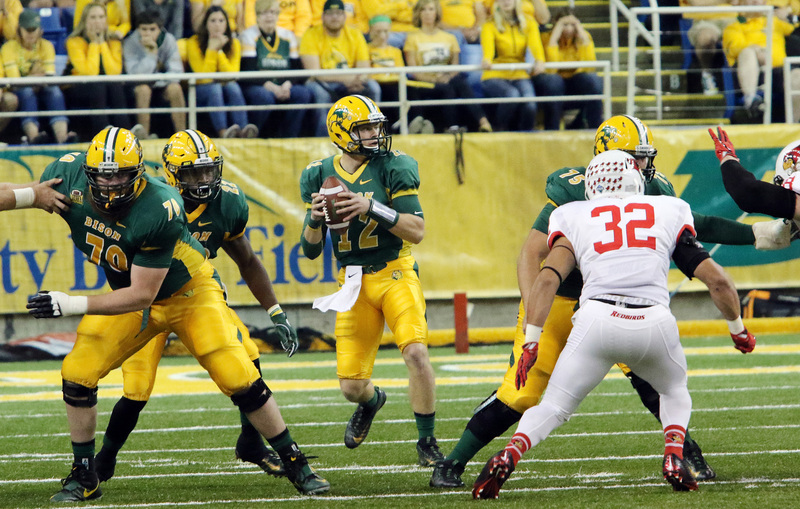 Still, Reynolds can win battles outside the numbers and get open in the end zone, like with his touchdown last week. 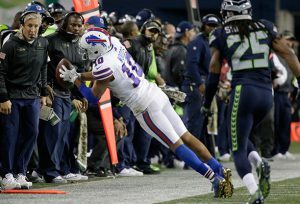 With Robert Woods out a couple more weeks Reynolds could have another productive game next week against the Cardinals. 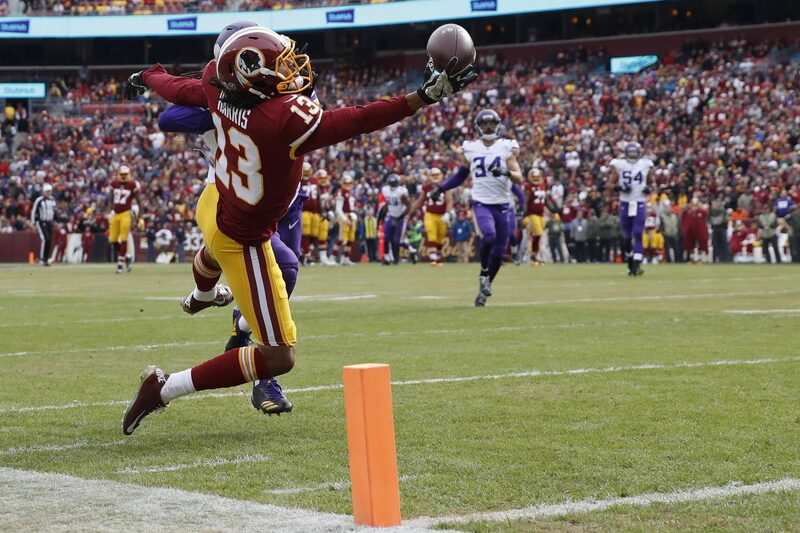 Everyone who thought Ricky Seals-Jones’ 2 touchdown game in week 11 was a fluke raise your hand. Ya, me too. Well after he scored another touchdown in week 12 and added a respectable 72 yards receiving he’s must add now. For the same reasons that Blaine Gabbert could be a fantasy relevant player in the playoffs with decent matchups so to could Seals-Jones. While Tennessee is in the top third against TEs, Washington, and New York are two of the worst in terms of TE points allowed. It wouldn’t be surprising if Seals-Jones has another TE1 finish in at least one game during the playoffs. Michael Crabtree is suspended for two games after last week’s brawl and Amari Cooper had a pretty serious injury that resulted in him having both a sprained ankle and a concussion. This leaves Cordarrelle Patterson, Seth Roberts, and Johnny Holton as the remaining receivers that get to go up against the Giants this week. 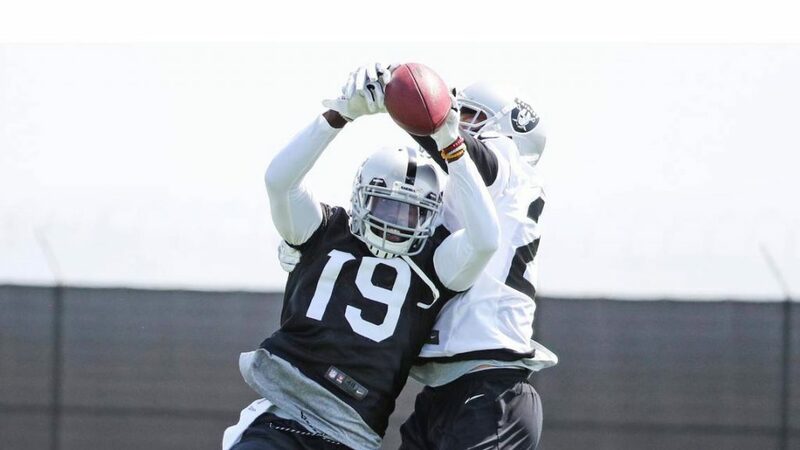 The Raiders like to use Patterson for gadget and trick plays because of his speed and quickness so I expect them to use him more over the next two weeks while they operate without their top two receivers. For the final 2017 FA Expectancy article, I wanted to shine the spotlight on Robert Woods who signed with the L.A. Rams. His arrival wasn’t a big splash like Brandin Cooks in New England or Alshon Jeffery in Philadelphia and most owners have seen Woods move from one stagnant offense in Buffalo to another in L.A. as neutral at best. So why should anyone be excited about a receiver moving to the 27th ranked team in pass attempts in 2016 and who hasn’t accumulated more than 700 yards or 5 touchdowns in a season? It all has to do with the situation he finds himself with new coach Sean McVay and the lack of experienced receivers on the depth chart. Can Woods Be the #1 Option? The Bills for the last two seasons under Rex Ryan finished 31st and 32nd in pass attempts. Before Ryan arrived Woods had 65-699-5 in his sophomore season playing alongside Sammy Watkins and the team was ranked 13th in pass attempts. With the three years that most expect receivers to develop it would have been interesting to see how Woods would have developed in a moderate passing offense these last two years. Last season Watkins missed weeks 2-11 forcing Woods to be the WR1 and he produced an average of 10.66 points in PPR leagues. This was highlighted by his game on Monday Night Football in week 9 against Seattle of all teams when he had 10 catches for 162 yards. Clearly, he can contribute enough to be a fantasy relevant receiver and this all came with only a single touchdown in 2016. Increasing his touchdown total to even a moderate 5 or 6 would make Woods a solid WR3 with WR2 upside on a weekly basis. Despite some confusion midseason with the Rams giving Jeff Fisher a contract extension the team finally came to their senses and fired him before the end of the season. 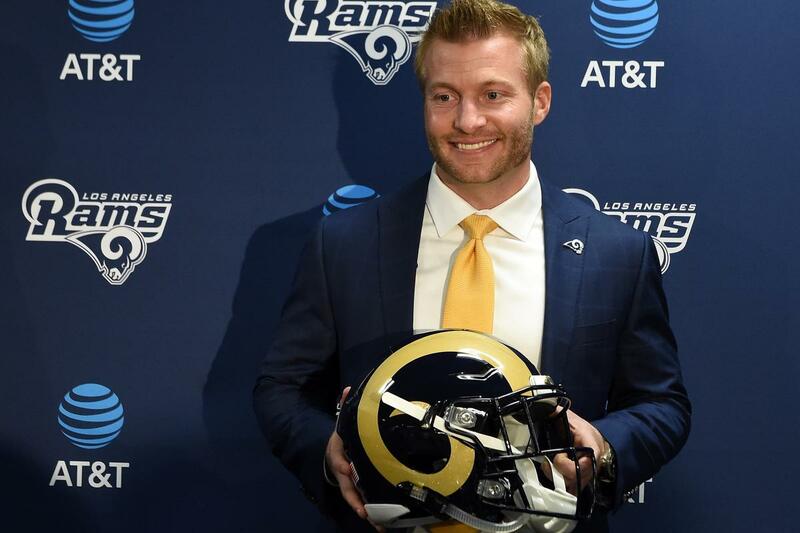 His replacement, Sean McVay, is the youngest head coach in the modern NFL history (30). With all the hype surrounding Kyle Shanahan and how he will be changing the fortunes of the 49ers, there’s not much being talked about with McVay’s success. I argued this in a previous article that Shanahan wasn’t that dominant of a play caller for Washington and after McVay replaced him the team actually scored a slightly higher amount of touchdowns (38:34) per season. So why are people so high on players like Pierre Garcon and Joe Williams but aren’t as high on Robert Woods and Todd Gurley? The only reason must be because of how little publicity the moves the team made in the offseason have been and the stigma of a Fisher-led team leaves. We should remember that before last year’s draft most expected Jared Goff and Carson Wentz to be developmental QBs and were likely going to be 2-3 years away before deciding what their NFL talent levels would be. Therefore, it should be expected that there be an improvement from last year. Even if the quarterback play doesn’t improve drastically from Goff the addition of McVay should increase the passing numbers from Fisher’s 27th ranking last year. The team added Andrew Whitworth to the offensive line which was a big reason for Gurley’s disappointing sophomore season. Getting a running game involved in the offense will always help open up zones in the secondary which is where Woods earns his money. At 6ft, 200lbs and a 4.51 40-time Woods isn’t going to blow the top off or box out defenders, he will need time to create separation and make himself open. Luckily for Woods, the Rams still have Tavon Austin who can be the speedy, gadget player that can stretch the field. 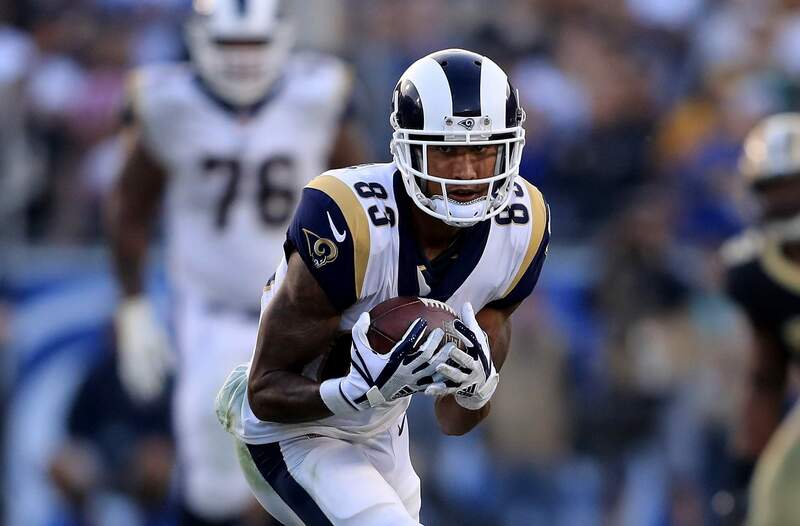 They also released last year’s receiving leader Kenny Britt along with Brian Quick which immediately put Woods in the role of the X receiver. The team did draft Josh Reynolds (a Matt Waldman darling) and Cooper Kupp who people are very excited about for the future. Still, somebody has to be the primary option and at least for 2017 that would seem to be Woods. Averaging 10PPR points seems like a floor for Woods who wouldn’t need to be more than a WR4/5 on any roster. With the upside of being a target volume vacuum in what should be a more pass friendly team, the cost of $3-6MM for Woods offers tremendous value for the stat line he could have. According to a recent poll on our RSO Twitter feed, about 50% of RSO leagues have not yet conducted their rookie drafts. As you’re continuing your preparation, I’m here to provide my tiered rankings of the top 50 rookies. Navigating three to four rounds of a rookie draft isn’t easy. My tiers are designed to help you know when to buy or sell so you can accumulate the best possible rookie class, at great value! While Corey Davis may not be quite the same level of prospect as recent 1.01/1.02 picks Ezekiel Elliott, Amari Cooper, and Todd Gurley, he’s undoubtedly the best prospect in this class and the only receiver I’m willing to bet will be a true NFL #1. Putting my money where my mouth is, I already have 3 shares and am aiming for more. To say you can’t go wrong with picks 2, 3, and 4 would be inaccurate. In a few years, all three will have differing values. But at this point, the margins between each are razor-thin. Consistent with my general strategy, I’m going to often choose the most talented player regardless of their potential non-talent-related downfalls such as injury history, off-the-field issues, etc. I’ll take Joe Mixon at 2. He’s the only RB in this class that I believe truly has an elite RB1 ceiling. My rankings 3rd and 4th ranked players differ depending on your scoring system. PPR -> Christian McCaffrey. Standard -> Leonard Fournette. While a sub-10th percentile SPARQ score terrifies me, Dalvin Cook‘s college tape tells a different story. I firmly believe that he’s the most talented back on the Minnesota Vikings and it isn’t remotely close. How soon he will earn playing time may be another story. He will need to improve drastically in pass-protection and ball security to earn playing time. After the 1.05 pick, this draft class falls off a cliff. If you’re slated to pick 6th or later in the first round of a rookie draft this year, I’d advise shopping that pick for help now or 2018/2019 picks. For more info on his injury and the potential need for surgery if the non-surgical route doesn’t work, I’d recommend listening to the AUDIBLE LIVE! Podcast from June 8th as Jene Bramel (@JeneBramel on Twitter) provides great insight. Even if he doesn’t develop as an inside runner, Alvin Kamara will still be a very productive pass-catching back in the NFL. The Saints offense is very RB friendly and neither Adrian Peterson or Mark Ingram are locks for the Saints’ 2018 roster. Love John Ross‘ talent, but hate the landing spot. Andy Dalton isn’t the ideal QB for him, especially behind a poor offensive line that may force them to focus on getting the ball out of his hands quickly. My tight end rankings are based on my belief in their long-term upside. Love David Njoku‘s talent and his situation isn’t as bad as many believe, especially with the release of Gary Barnidge. 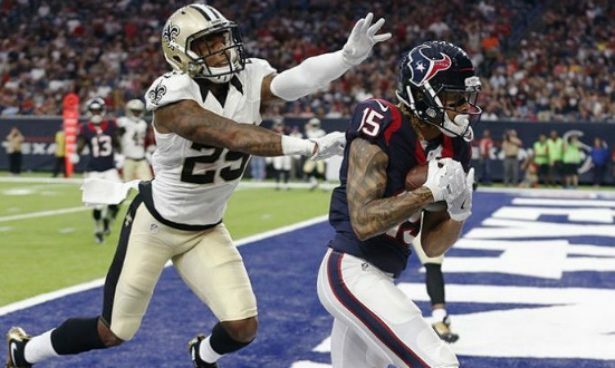 Evan Engram should settle in as a big slot receiver, though classified as a TE, for the Giants once they release he can’t handle the typical blocking duties of an in-line TE. O.J. Howard likely will end up as the best NFL TE, but I’m worried that his talent as a blocker may limit his fantasy potential. Samaje Perine doesn’t feel like a 1st rounder to me. I would do everything possible to trade the 1.11 pick for a random 2018 1st. He was graded by many as a late 2nd or early 3rd round pick dynasty rookie pick, but has catapulted into the 1st round due to his promising landing spot in Washington. Betting on him to the next Jordan Howard is dangerous. Barring that type of breakout, I expect Washington to be in play for signing a free agent or drafting a top RB prospect in 2018. Rounding out this tier is Kareem Hunt – a running back who dazzled on tape, but disappointed at the NFL combine. 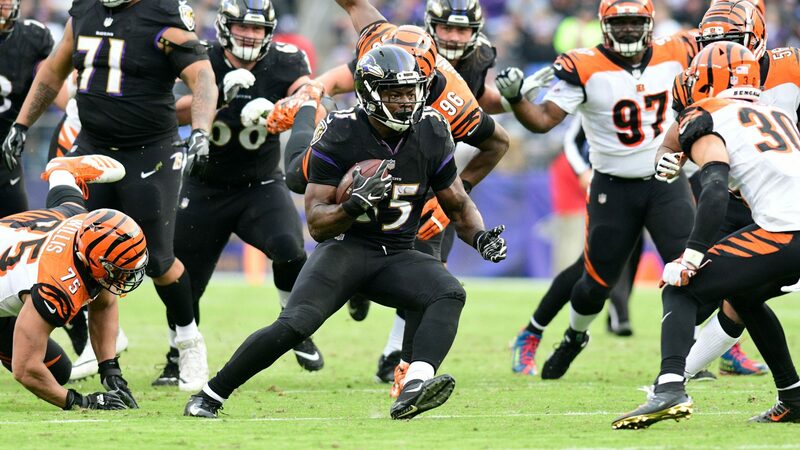 Joining a Spencer Ware in the Kansas City backfield, many believe Hunt will overtake Ware for the majority of carries by mid-season. I believe this is far from a lock and would expect Ware to lead KC in carries this year, by a 2:1 ratio. 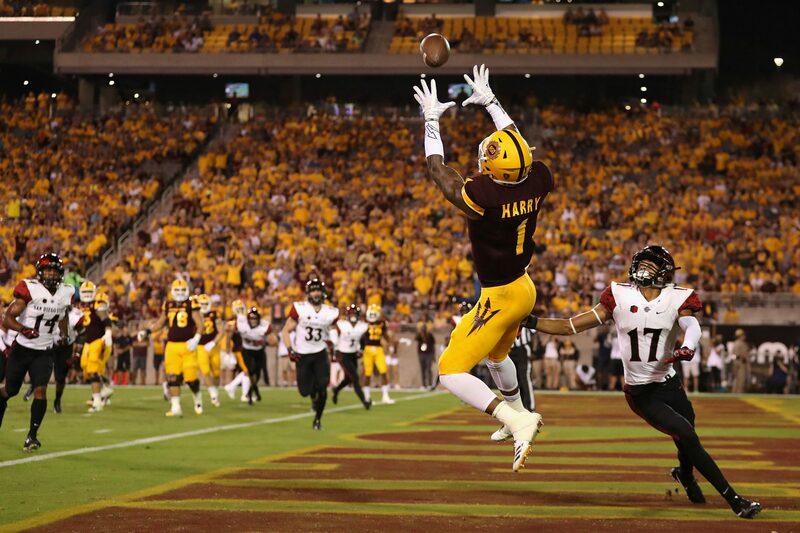 Higher on Carlos Henderson than most, I love his ability after the catch. It’s also worth mentioning that aging receivers Demaryius Thomas and Emmanuel Sanders aren’t long-term barriers to playing time in Denver. Loved Taywan Taylor pre-draft and couldn’t have hoped for a much better landing spot. Great target in the late 2nd or early 3rd round of your draft. 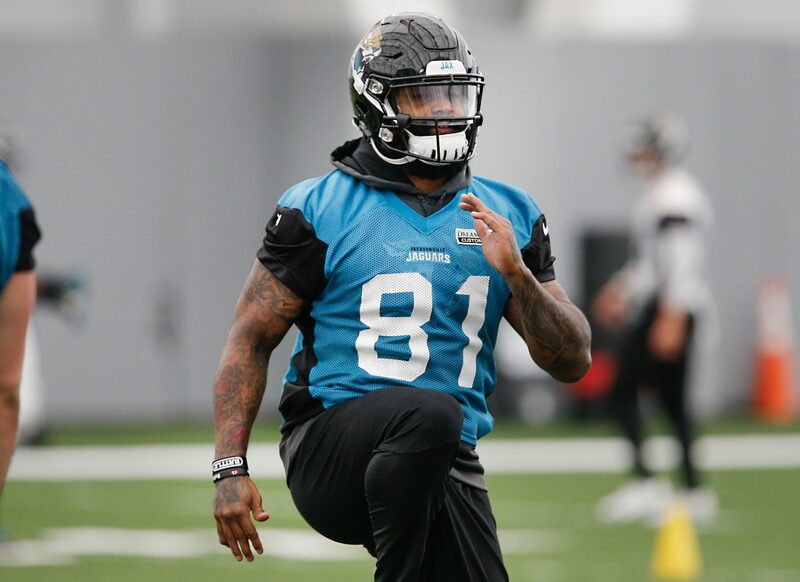 This group includes several recent ADP risers: Kenny Galladay, ArDarius Stewart, Joe Williams, and Chad Williams. In each of my drafts, I want to land several players from this tier. 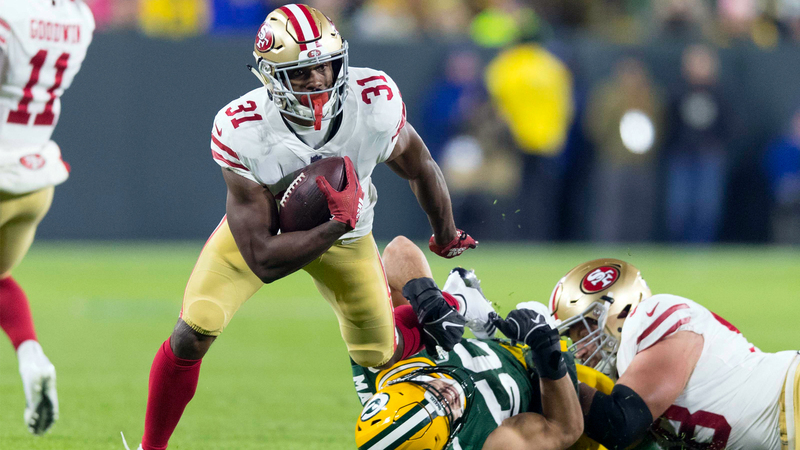 In both redraft and dynasty, Ty Montgomery is the back I want in Green Bay though it’s hard to ignore the fact that the Packers drafted 3 running backs. If everything breaks right for either rookie back, Williams and Jones could be featured in one of the NFL’s best offenses. That alone makes them solid values in the 3rd round. If early rookie drafts are any indication, I’m going to be heavily invested in Patrick Mahomes. While he’ll need to be more consistent to succeed at the next level, I can’t help but drool at his raw ability. His landing spot, under Andy Reid’s tutelage, could not be better. Let’s not forget that Andy Reid used to be criticized during his Eagles days for passing too much. Mahomes will be put into position to not only succeed, but also develop into a QB1 in fantasy. 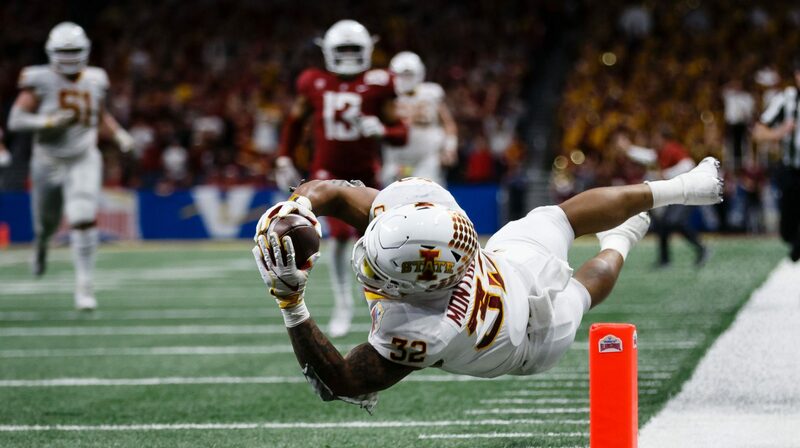 Back in April, I took a Reality Sports centric look at Matt Waldman’s opus, The Rookie Scouting Portfolio. My aim then was to distill the 1,000+ page document into a few useful takeaways for RSO owners; the aim today is to take those takeaways and apply them to the 2017 rookie crop. By no means is this an exhaustive or all-encompassing look at the RSP and it’s potential lessons, so please support Matt and his work by purchasing the full RSP and going through it in depth – you’ll be happy you did. Below you will find the same headers from my original post, the takeaways, with a short reminder of why I think that point is important, and how I feel 2017 applies. For each section, there are numerous players who might apply but I will concentrate on just one per section – specifically players who would be on the radar for most in “standard” RSO leagues. Your mileage may vary, depending on league settings. The key to being a successful RSO GM (as in the NFL) is identifying value. Everybody knew that Zeke Elliott was going to be a real life and fantasy stud, but he didn’t represent any value as you had to use the 1.01 to get him. Those owners who grabbed backs like Rob Kelley and Devontae Booker later in their RSO rookie drafts were the beneficiaries of production that belied the value of their contract. In my first RSP article, I identified 150-200 carries as the sweet spot between production and cost to acquire. 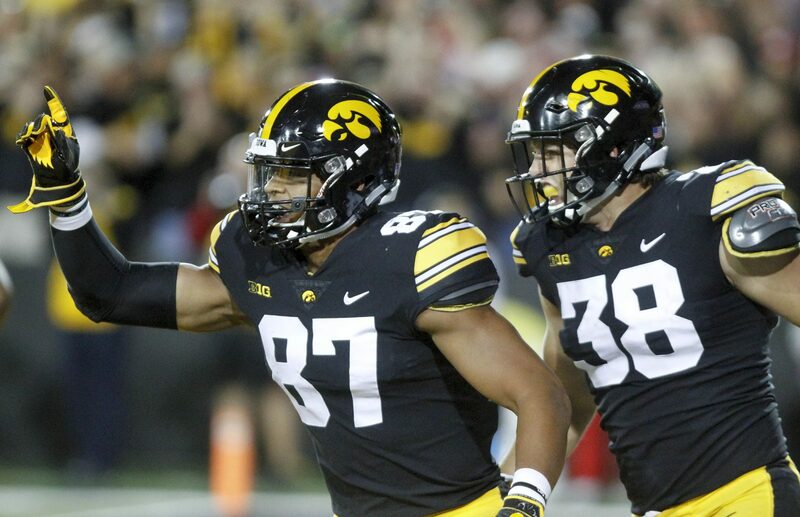 In order to find rookies who have the potential to hit that threshold, it’s important to closely look at the team’s depth chart to determine their opportunity – Waldman’s depth chart notes are a great tool to help with that. The guy who I am targeting with all of this in mind in 2017 is Wayne Gallman. I’ve proclaimed my love for Gallman on RSO’s site before and I will do so again here. Gallman joins a Giants backfield with Paul Perkins and Shane Vereen but there should be enough touches to go around. I see 2017 going very similar to 2016, whereas Perkins will start the year as the starter (like Rashad Jennings did) with Gallman gaining steam as the season progresses. Vereen factors in mostly as a pass catcher rather than a ball carrier; he missed most of 2016, and has missed multiple games in four of six seasons, but even when healthy he’s only had more than 62 carries once. Perkins averaged a respectable, but uninspiring, 4.1 yards per carry on 112 carries and added 15 receptions for 618 total yards but zero TDs. My expectations for Gallman would be a bit higher, maybe 160-175 total touches, 750-800 yards and 3-4 TDs. Keep in mind that the Giants invested a 4th round pick in Gallman after spending a 5th on Perkins just the year before. So, either they are not convinced Perkins can be their RB1 or they will be invested in a RBBC. Obviously the first outcome is preferable for Gallman owners but either way I firmly believe he will outperform his RSO contract. 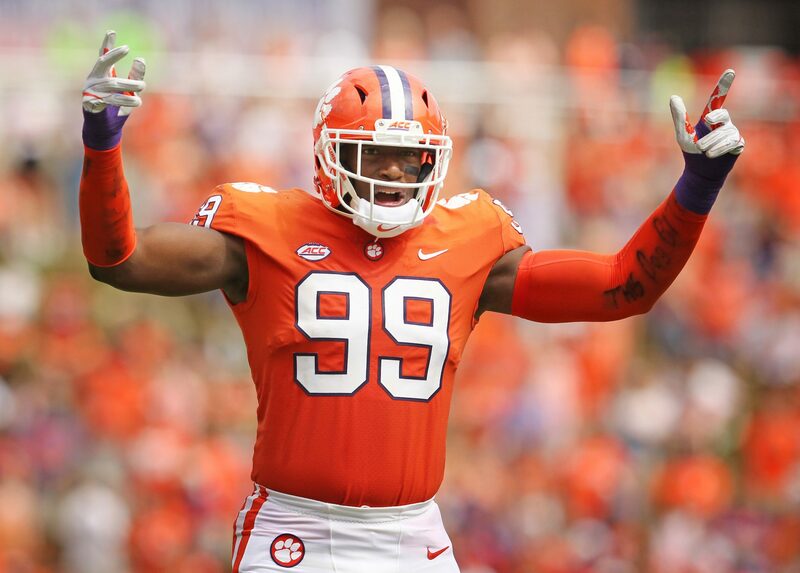 Waldman has Gallman ranked at 22 and DynastyLeagueFootball.com has him at 21, so depending on your league size he’s either a late 2nd or early 3rd draft pick so his contract will be somewhere in the $900,000-$1,300,000 range. Invest in him now and as he blossoms the next few years you’ll be happy you have him locked in on the cheap. A player I’m higher on after reading through this year’s Post Draft Update is WR Josh Reynolds. 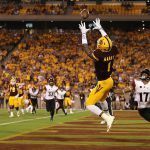 Reynolds was drafted by the Rams in the 4th round and Waldman believes he will see production right away in the NFL; he placed Reynolds on his “Good Fit” list and also placed him in Tier A with other instant impact WRs like Corey Davis, Mike Williams and John Ross. The average ADP for Reynolds as collected by Waldman was pick 35.8, over 21 picks after where Waldman has him ranked, the highest such discrepancy for anybody in the top 50 (note: DynastyLeagueFootball.com currently has him at 30.50 so his value may be creeping up). The more research I do, I’m starting to convince myself that Waldman is right and that Reynolds is somebody I should own shares in. The Rams WR corps is weak, maybe the weakest in the league, and Reynolds had solid collegiate production in the SEC (164 receptions, 2,788 yards and 30 TDs in three full years). Last year, Malcolm Mitchell was in a similar position (ranked #16 by Waldman but being underdrafted). So, what does this mean for RSO owners? It means that you can wait a round (or maybe even two if you’re daring) on Reynolds and still get great value. Target him in the early- or mid-3rd round and the $900,000 investment will provide solid returns. It’s easy for a dynasty owner to fall in love with a rookie, especially ones with the intoxicating blend of physical ability and potential playing time. If we’re talking players like Leonard Fournette or Corey Davis, they are obvious no-brainers. The challenge though, is identifying the guys who might need to work on a key positional skill or maybe who are buried on a depth chart. These “lottery tickets” can pose huge cap headaches for their RSO owners so I urge you to stay away. In my original piece, I mentioned Zach Zenner, whom I was highly interested in in 2015 but avoided. Ultimately he did realize some value in late 2016 but not enough to warrant a roster spot through all his zeroes and a guaranteed rookie contract. This year, I will avoid WR Krishawn Hogan from the Cardinals. In a recent draft of mine, a fellow owner called Hogan a “lotto ticket I’m willing to take,” but in taking Hogan he passed on the aforementioned WR Josh Reynolds who has a shorter path to targets and has draft capital invested in him. I know that Hogan is a great story (he supported himself through college so he could play football) but the hype has gone way too far for me as an RSO GM. Hogan has prototypical size at 6’3″ and 220lb but he played in the NAIA at Marian University. It’s not that he chose to skip D1 recruiting offers for personal reasons, he just didn’t have much production in high school (20 receptions as a senior). He chose D2 Walsh University but then transferred after a 32 reception season to the lesser NAIA. Aside from my questions about his ability and lack of high level competition, I am concerned about how many bodies there are in front of Hogan on the Cardinals depth chart. There’s the obvious names of Larry Fitzgerald, John Brown, JJ Nelson and Jaron Brown but the Cardinals also added Patriots castoff Aaron Dobson and even drafted rookie Chad Williams in the 3rd round. I know all this sounds like I’m “hating” on Hogan, and I honestly feel bad writing negatively about him because everything I read has great things to say about him as a person but I’m just not willing to commit to him on my RSO team. Even if you have a 5-round rookie draft, I would rather not invest in somebody like Hogan who will likely eat up cap and roster space for most of his contract before (maybe) becoming productive. If you are intrigued by Hogan and want to be the guy who had him before he arrives, I would urge you to let him go undrafted, sign him as a free agent on a 1-year deal and then use the new contract extension feature if he flashes anything. Robert F. Cowper is a freelance writer who lives in New Jersey. Robert works as a recreation professional, specializing in youth sports, when he isn’t acting as commissioner for his many fantasy sports leagues.